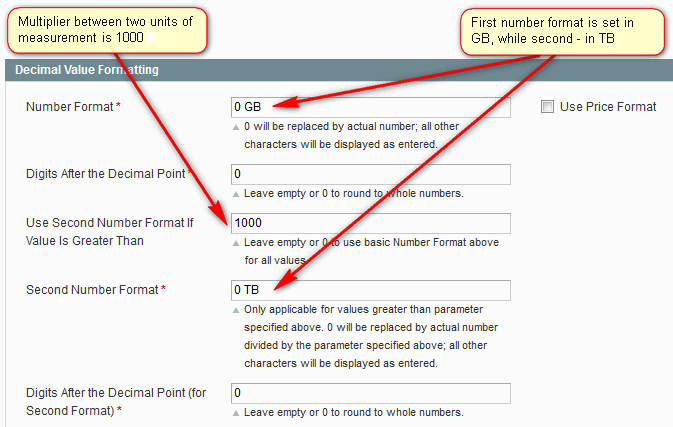 Second number format can be used to set up scale of different units of measurement, for example, to have length slider from 1 cm to 10 m or capacity from 256 GB to 2 TB. Capacity attribute, should be described as Price input type. 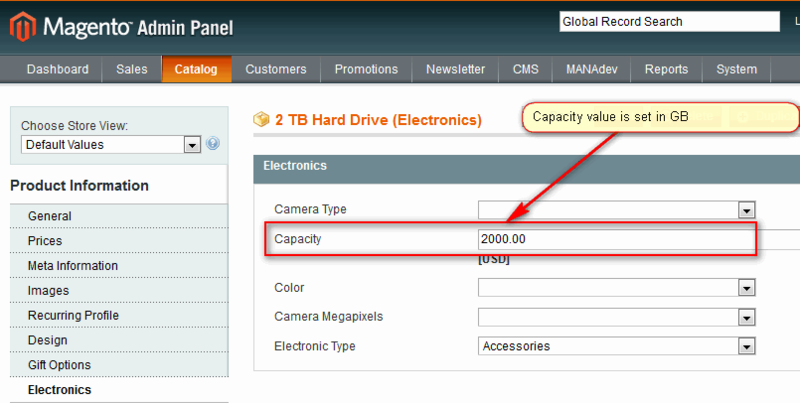 Capacity attribute value for product should be set in smaller unit of measurement (GB). For Capacity Layered Navigation filter, first number format should be 0 GB, second - 0 TB. Multiplier between two units of measurement is 1000.